pipe cleaners and googly eyes. : Memory Lane. I Left Gorakhpur helping the recovered British neighbor, Mike, one more time, offering him travel tips as we shared an early morning rickshaw ride through the empty streets. Mike had told me that when he arrived in New Delhi, he had met some people who convinced him to take a trip up north to Kashmir. I laughed to myself, as I remembered Suneal and the ‘clubhouse boys’. He could tell by my silence that I had my judgmental thoughts... I was in disbelief that he had made it this far. Mike seemed like a really good guy, but I felt he was walking around with a huge bullseye target on his chest. He told me that I was a very ‘diplomatic’ person. When we arrived at the Railway station, I insisted that I pay the 50rupees for the rickshaw. He disappeared into the morning darkness walking to the bus station. 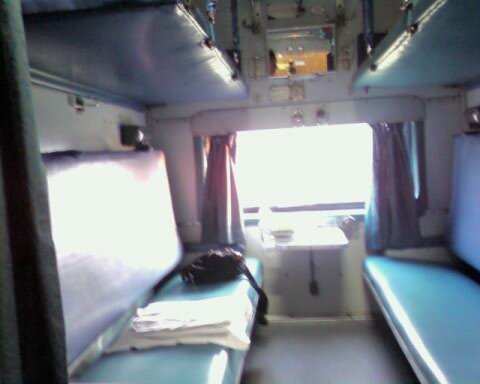 The train ride was long, as we arrived into Varanasi Junction 3hours later than scheduled. I’m very glad that I am not rushing and not having to worry about connections. When I stepped out of the railway station, I could feel that I was back in the stream of India; the stale smell of the ancient city combined with the quacking horns of auto rickshaws and scooters. The connection to the River Ganges’ religious importance, Varanasi, has been considered the holiest cities in all of India, for Jains, Buddhists, and Hindus, for several thousand years… It is also one of the most heavily congested cities, receiving pilgrims, devout followers, and the mass of gawking western tourists, daily. Hindus believe that bathing in Ganga, remits sins and that dying in or being cremated next to the river, ensures the release of a person's soul from the cycle of its transmigrations… the cessation of reincarnation, Nibbana. Jains believe it to be the birthplace of Parshvanatha, the 23rd Tirthankar (enlightened being through asceticism). 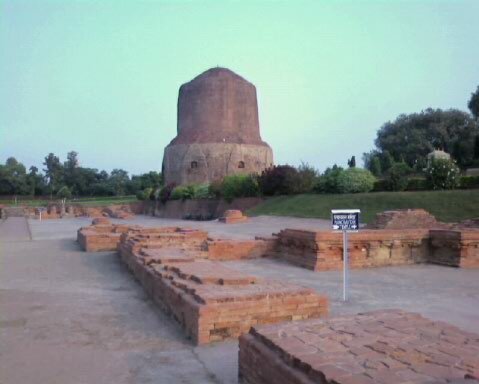 For Buddhists, the neighboring town of Sarnath is the town where the Buddha gave his first teaching. I had fun the last time I was in Varanasi… it’s kind of like a zoo, a circus, a shopping mall during Christmas, and a college dorm room all in one; monkeys, cows, crowded markets, thieves, devoted religious followers, and patchouli smelling-dread locked-westerners smoking hash with the ashed covered Saddhus. This being my first auto rickshaw ride, I had forgotten how inconsistently expensive they are. Haggling, agreeing, and confirming the fare, is a must with these drivers. As the bumpy auto rickshaw made its way down the calm tree lined street, I immediately felt the nostalgia kick in. I had a lot of fun here last time, with my friends; that being one of the happiest moments of my life. I checked into the Jain Paying Guest House, again feeling full of happiness from the nostalgia. Dr. Jain and his wife asked me how I had heard of their home; I began explaining my previous visit. Mrs. Jain remembered my face and after hearing my story asked if Craig was here, with me! I gave them the photo that I had brought with me and they were so very happy. I had a very brief conversation with Dr. Jain on the economic state of the U.S. He is a very well informed man and is a huge supporter of Obama. After filling out the guest registration book and paying my bill, I decided to go out to pay respect to the stupas in Sarnath. Again the nostalgia fueled the excitement and feelings of joy… but I began to notice bits of sadness growing. As I walked through the ancient ruins and passed the deer park, seeing all the sites that were so specifically associated to my last trip, made me miss everyone; I didn’t feel lonely, just sad that they were not here seeing this place again. It made me also realize how much has happened to us all since then and how we’ve all changed and moved on… or apart. Anicca! I decided to go to the Internet centre, which was right where I remembered it to be, and wrote my former travel companions, an e-mail, sharing with them all, my thoughts. As I walked back to the guest house, I remembered Nicole telling me about the Lassi stand that she went to with Craig. Remembering the descriptive location, I approached a stand on the side of road. A few moments later I was handed a small cold terra cotta clay cup. I sipped the thick, sweet, creamy Lassi and immediately knew that this was indeed what Nic had raved about. It was, hands down, the best Lassi that I’ve ever had. Contemplating if I should have another one, I placed the cup on the counter. ‘No, no, no…’ the young man took the cup out of my hands that had not yet lifted from the cup. He took the bowl and threw it on the floor and laughed. I had forgotten… This is why the bowls are made of clay. I began to hear blaring music as I walked to the centre of the town and saw a large crowd of people; vendors selling cheap color strobe light wands. Next to the rotary turn about was a gigantic straw and wooden figurine… of what looked to be a woman. Entering the guest house, Mrs. Jain asked if I was hungry and if I would like some dinner. Remembering how much I enjoyed her cooking, I sat down at the table instead of going to my room. I was joined by one of their daughters and another guest, a beautiful girl from France, who had been in Sarnath teaching for 9 months and was getting ready to go home in a few days. They both inquired about my travels and where I was from. I shared my adventures of traveling through France on the TGV with hung over friends on New Years morning, several years ago. The daughter remembered me, as she recalled helping Sarah to burn a cd on her laptop. I asked her what was going on outside and if was related to the approaching holiday, Diwali. She explained that it was not Diwali, but related to it as they were celebrating Dussehra, the day that Lord Rama triumphed over the evil King Ravana… who apparently wore a triangular dress like outfit… After the celebration, they would set ablaze the wooden statue. I think I will always love it here in Sarnath and at the Jain Paying Guest House. My train to Gaya leaves at 11.30. 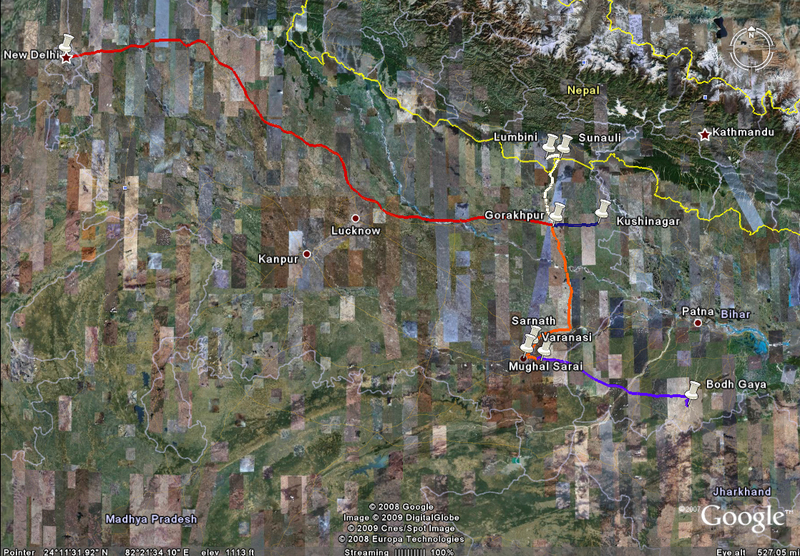 I should be in Gaya by 2.30 or so and Nikesh will pick me up… I finally get to meet my friend, Nikesh.